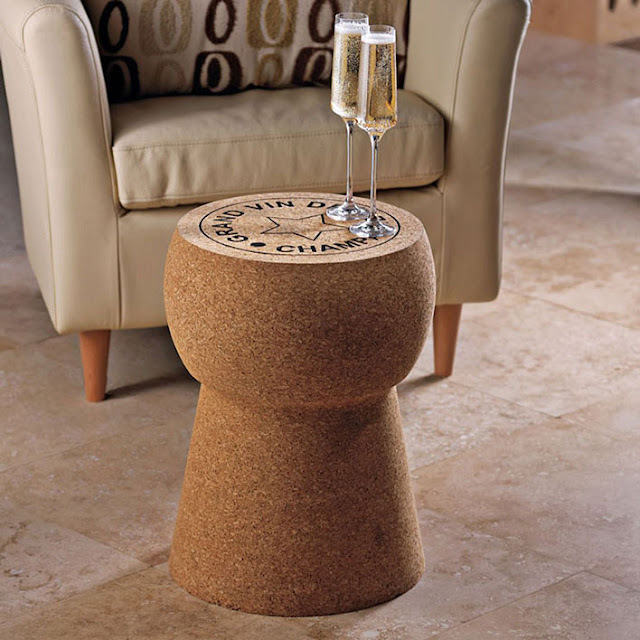 Designer Stewart Rose imagined this giant champagne cork side table. Made from natural Portuguese cork, this furniture contains the equivalent of 1300 regular Champagne corks. And since you are wondering, it's 110 times bigger than the original. This product is 100% handmade and is available for $250. 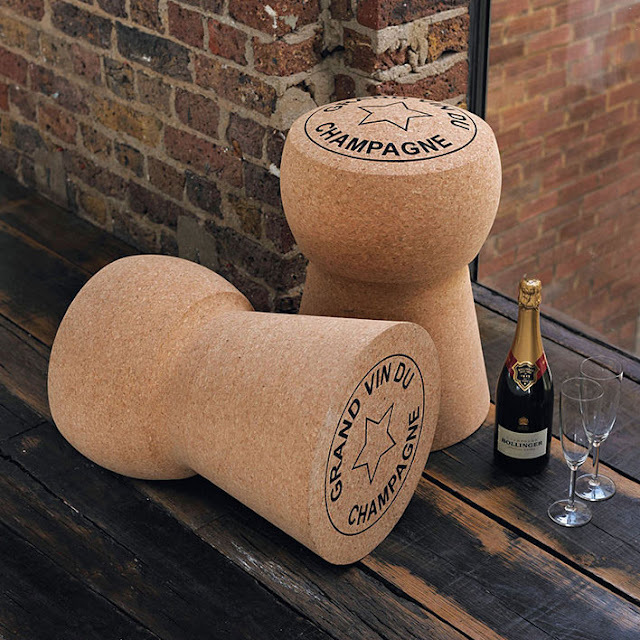 For the Champagne freaks, there is also a stool ($250) as well as a Champagne Cork Cooler ($75) that complement the table.